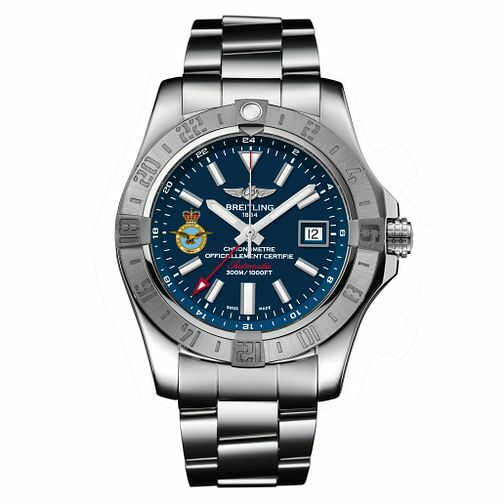 Dive into the depth of the waters with this limited edition watch born from Breitling's partnership with the RAF. Enjoy a COSC-certified chronometer for a watch that captures the highest standards of precision and anti-magnetism. This watch is a special edition of the Avenger series, featuring a sturdy stainless steel case and bracelet and an impressive water resistance of up to 300m. The rotating bezel features military-styled numerals matched off with the RAF crest at the 9 o'clock mark to signify it as a unique piece.